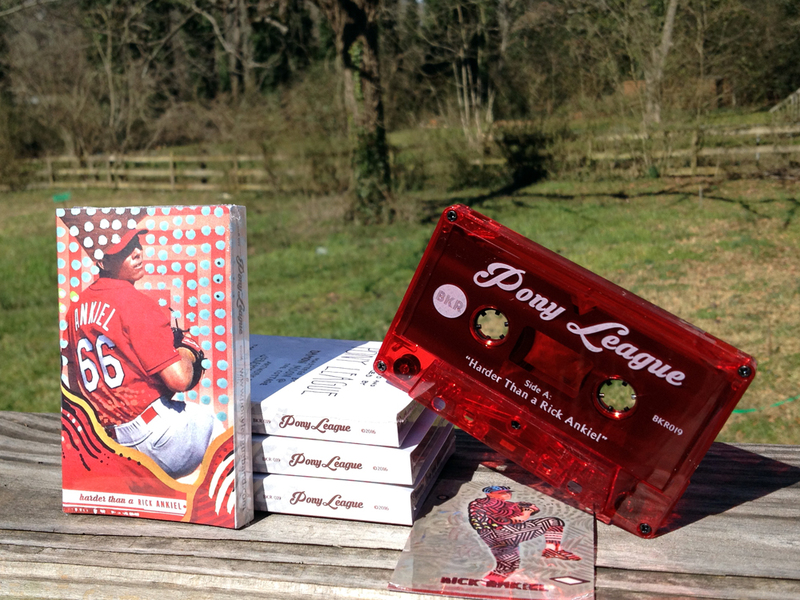 Pony League (re)introduce themselves. 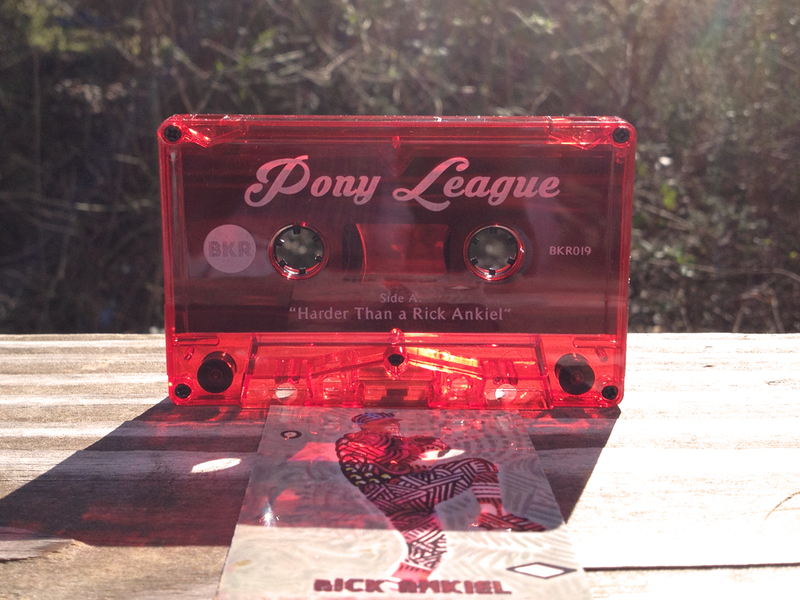 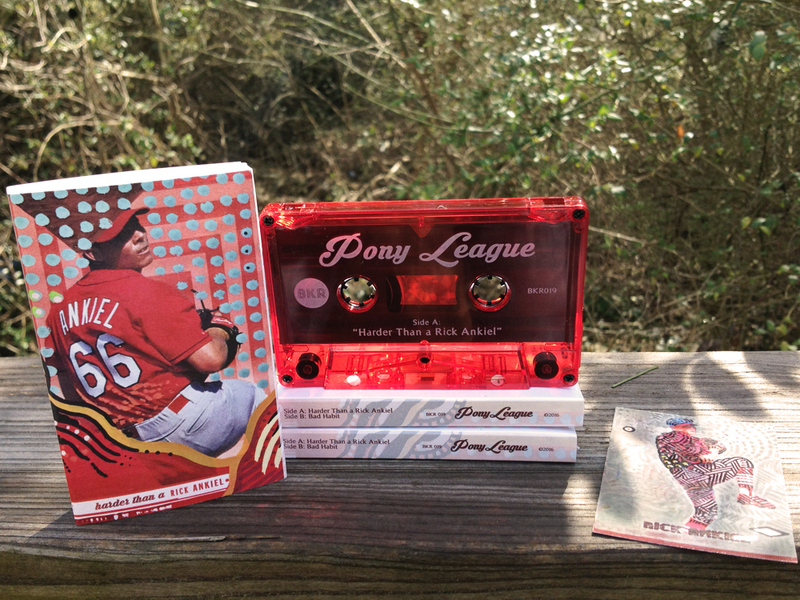 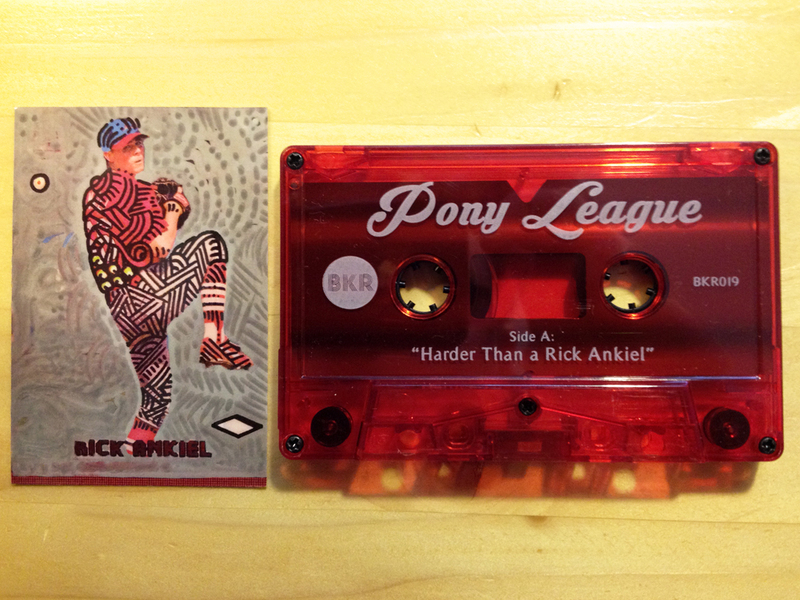 “Harder Than a Rick Ankiel” b/w “Bad Habit” on red tint cassette tape in a cassingle sleeve designed by Atlanta’s Jeremy Ray; also includes custom “baseball card” designed by Ray. 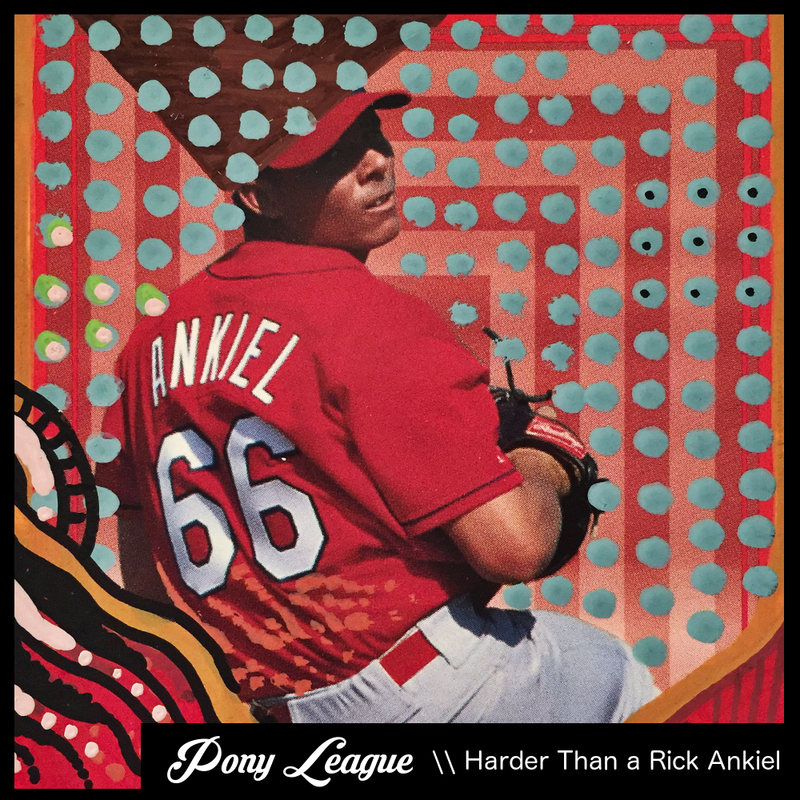 Side A: “Harder Than a Rick Ankiel” is an anthemic story-song that compares struggles in dating to the tumultuous career of former major league pitcher-turned-outfielder, Rick Ankiel, whose home run against The Giants in the 2010 playoffs inspired the song.